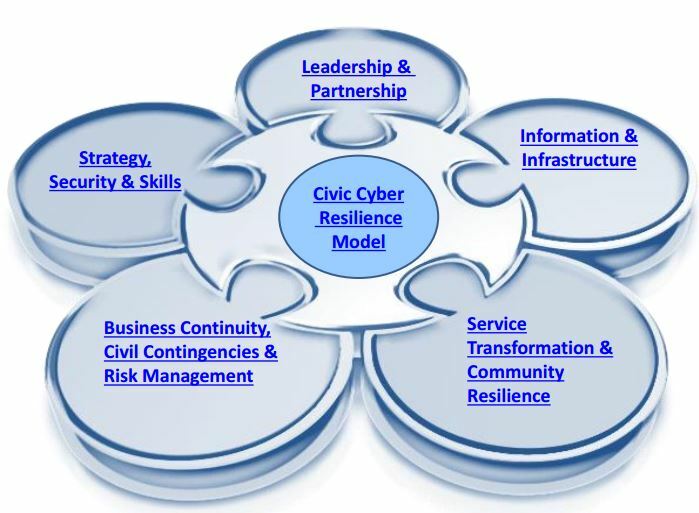 The first phase of the Think Cyber – Think Resilience programme undertook research into existing advice or guidance on cyber resilience. There is a lot of information out there – much of it specific to certain industries and professions or produced for commercial reasons (so only available at a price). The team at DCLG have sifted through the available material to find advice or guidance relevant to the public sector and of sufficient quality to share with local government. The results of the research are grouped under five themes and twelve attributes. Each attribute has some Design Principles and links to supporting documentation relating to the specific attribute.